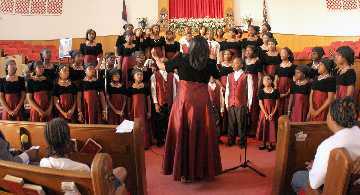 The Singing Sensations Choir was featured recently in a concert in Chester, Pennsylvania. The Concert was held to highlight a "Stop the Violence" campaign. This small city, much like larger ones, is experiencing a surge in gun violence. I commend this Baltimore based choir for their excellence and commitment to music ministry. Their director, Dr. Holly Hood-Mincey, posses a passion for excellence and an unyielding quest to provide our youth with opportunities to see the world and all of its wonderful places. Keep on keeping on! I forgot to mention that if you want to be sure that I'll be at your Fourth of July cookout, just tell me that you will have a multi-layered chocolate cake. My mother would make a chocolate cake that would simply melt in your mouth. 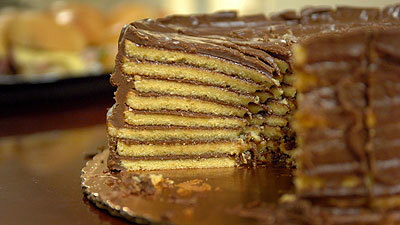 You really have to be old school to know how to properly make this delicacy. Very few do, though many try. If you add chocolate cake to your Fourth of July cookout menu - I'll be there! Where is the cookout going to be on the Fourth of July? In many families there is a rotational pattern for who will host a year's food and fun festival. Since the holiday falls on Sunday, do we get Monday off? In any event I'm going to enjoy a day of worship, fellowship and food. Must admit that I'm too afraid to watch fireworks in the City. Bombs blasting in the air, sound too much like gun shots. How sad that we are at a point in our society when the simple pleasures are impacted by a few lawless individuals. Well I'm looking for a cookout where people will enjoy the food of the season and the laughter of friends. If you know anything about the history of education and high school sports in Baltimore City, then the name of Lloyd "Sodie" White would be legend. The retired Athletic Director of Carver Vocational High School that bears his name on its athletic field; this tremendous giant of a man died on Saturday, June 27th in California. He lived to be over 96 years old. He touched many persons by the integrity of his heart, the gentleness of his hand, and the sincerity of his spirit. 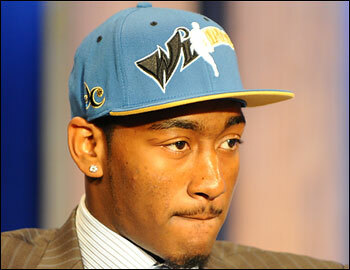 John Wall from Kentucky is the #1 NBA Draft pick, chosen by the Washington Wizards. Not only was he an outstanding college point guard, he has a compelling life story. Only 19 years old, he is a multi-millionaire. In fact the starting five of his college team are all now multi-millionaires. That's having a crew! These young men will be able to put together a business syndicate second to none. You should read the story of John Wall and quickly you will discover that he will be an instance hit at every level of Washington D.C.'s society. He has street creditability and Wall Street marketability. He has a $25 Million Nike contract already in hand. He will be the highest paid rookie as a result of being #1. But its his story that is powerful. 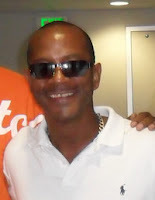 His story affirms the truth that, "you are not defined by your context, but by your content." In other words where you come from, the circumstances of your youth, the color of your skin, or the side of the tracks you were born on does not define who you are or whose your are; that definition is determined by your faith in God and your strength of character. I wish Mr. John Wall well. He has a compelling life story which can be an example to many youth in our day and time. This is a picture of Haiti President Rene Preval, Mr. Robert Johnson, and Youri Mevs (left to right). These three principals have teamed up to build a manufacturing plant in Haiti for construction materials. The end result is that they will create jobs, develop infrastructure, and produce housing. In the midst of a devastating earthquake, these innovative and industrious leaders are responding not with a hand out, but a hand up. Many of our local inner city communities need just this type of creativity to pull itself up by its proverbial "boot straps." 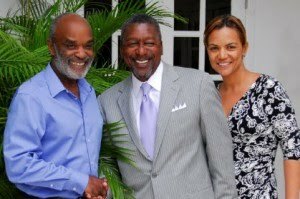 I remember Bob Johnson from the early days of BET meeting in church basements advocating for participation of African Americans in media. Along with the late Purial Marshall, I was blessed to participate in those meetings and to challenge local radio and television stations to change their policies towards hiring, promotion and programming. During the 1970's and 1980's we felt that direct action would produce changes. Mr. Johnson sense then the need to control programming. In the long run he was correct. Unfortunately the economics of the business made it very lucrative to sell his interests and cash out. It's good to see that with his many interests he is using his talents and resources to enter into the fray and seek to improve the quality of life of resident of Haiti over the long term. I wish them the best! Can anyone count the number of times who had to face a crossroad in your life? It seems just when you think everything is going fine; a crossroad loams in the horizon. The path becomes confusing and the decisions are monumental. Which way do you go when you face your fork in the road? How do you decide the path to take? Is all of life just a series of random choices? Does anything make sense as your travel along your road of life? Well I wish there was a simple answer to this dilemma. There is not! Life is learned through observing the experiences of others. Life is learned by making mistakes, corrections, and right decisions. The prayer one must pray is that God is directing your path instead of you wondering aimlessly in life. The prayer must also be that you will have people with wisdom who care about you and advise you. The prayer must be that God will give you another chance to get life right. You will learn that as you keep living; you must keep learning. Rev. Dr. Martin Luther King, Jr. once remarked, "that longevity has its place." In the case of West Virginia Senator Robert C. Byrd his longevity resulted in the longest tenure of a United States Senator. Viewed from any perspective his career was colorful, eventful, and controversial. I tend to view matters from my own lens and not the lens provided me by others. My son attended West Virginia University for eight years. He encountered an issue that needed the assistance of Senator Byrd. I contacted his office and the response was immediate. Senator Byrd's staff was on top of constituent service. The matter was resolved. Senator Byrd sent a letter confirming the actions taken and to contact him again if we ever needed assistance. That's one of my perspectives of Senator Byrd. The other perspective deals with his unique ability to bring the bacon home. As Chairman of the Senate Budget Appropriations Committee, he had the ability to place his favorite earmarks into legislation. He directed more funds to West Virginia's land grant college, The University of West Virgina, than any other Senator on behalf of their state's land grant college. His coup was landing the FBI forensic lab and locating it near WVU. As a result WVU has the foremost forensic science curriculum in the world. Students comes from all around the world to enroll in this program. 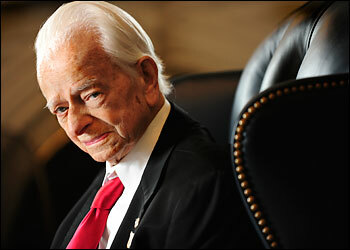 My final perspective of Senator Byrd was his support for President Barrack Obama when he was a candidate for president. Some view Senator Byrd from his developmental stage and point to his affiliations and associations. He was a product of his times and region. What impresses me was his ability to change and develop rational and logical approaches to societal issues. He stands at the bar of God's judgement seat with an honorable long standing career of service to his country. 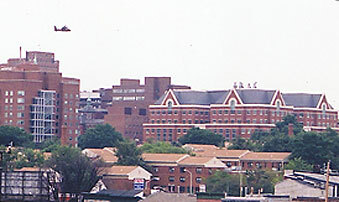 Johns Hopkins Hospital has about 400 job openings. The medical giant is looking for personnel in many different areas. Get the word out to those who are looking or wish to upgrade. They employ over 6,000 persons in the Baltimore area. The largest private employer. 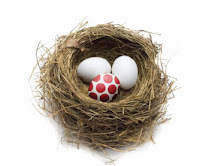 Persons that I know who work there inform me that it is a good place to work with solid benefits. Benefits is a key word during this economy. For those who need employment - apply. For those who know of people who need employment - spread the word. "Being different does not mean that you are deficient." This quote by Rev. Dr. Jeremiah Wright reflects the idea in this picture. Too many persons go through life with ego related problems because sometime and somewhere someone said your were different. As a result some people have spent their lives attempting to fit in. If you think about people who are successful in any field you wish to emulate, you will quickly discover that the singular trait they possess is that they are unique different than anyone else. The reverse holds true for those who inherit the label of a "failure." What makes being different not a deficient? I believe when one realizes that they are a unique gift from God. It is God who has created you in a very special way. It is God who has given you gifts and purpose. Your job in life is to discover your gifts and to find your purpose. Which are you one of the white eggs or the spotted egg? Whichever you decide you are special in God's sight!!!! Brother Donny Glover birthday is just around the corner. He will be one year older and one year wiser. He stays true to his paradigm which is to spread the news of what is happening of substance within our community. He is the go to source if you want reliable information. His wide ranging interests involves issues at every level of government. A natural born enterpriser, he promotes self-reliance and self-sufficiency. Congratulations and Happy Birthday, you are a special gift from God. I used to live in Richmond,Virgina. That was a wonderful period in my life. I would play tennis at Byrd Park, walk the Boulevard, and visit VCU to hear the Marsalis family rehearse. The father and his two sons would play, joke, and enjoy the amazing music they would create. Fast forward to many years later, we are blessed to have Bradford and Wynton establish themselves as world class musicians. 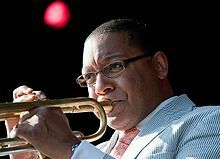 On July 8th Wynton Marsalis will play a concert at the Meyerhoff Symphony Hall to support Living Classrooms. The last time he was in Baltimore, he played at Enon Baptist Church to highlight his sacred music compilation. This time he will highlight the new music he has created that spotlights the music of Billie Holiday. How fitting for him to come to the home town of this music legend. If we desire to be a world class city, we need to support world class entertainment. The persistence of Mr. Marvin "Doc" Cheatham has won another major victory for the Baltimore Branch of the NAACP. The City of Baltimore has entered into a settlement agreement totally over $870,000 over practices of the Baltimore City Police Department. I would pray that members of Baltimore and surrounding communities get serious about purchasing their membership in this organization. We would be in a worse state without this effective watchdog. The Board and its membership will need to be certain that its next President brings to the table a level of dedication and seriousness to work within the trenches to effect systematic changes that improve the quality of life of our citizens. Remember the Eddie Murphy movie, "The Distinguished Gentleman," when he decided to run for Congress because he had the same last name as the incumbent who died. In the movie Eddie won! That was just a movie, it couldn't happen in real life. Well it did! 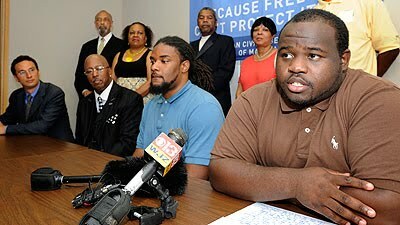 If you have been following the interesting story of Alvin Greene in South Carolina, he is the democratic candidate for the United States Senate. After appeals and investigations, it was determined that he is the legitimate candidate who will compete in the general election. What's intriguing about the story is that he didn't actively campaign; he simply had his name on the ballot. If America is to be the land of the free and the home of the brave; well Mr. Greene is living a dream. Only in American could his scenario play out. Well, maybe only in South Carolina could his scenario play out. In any event, I'm calling all of my cousins and relatives and asking them to vote for Alvin!!!! Maybe because we share the same first name, I might be biased. What does a U.S. Senator earn? Alvin for Senate; sounds good to me! 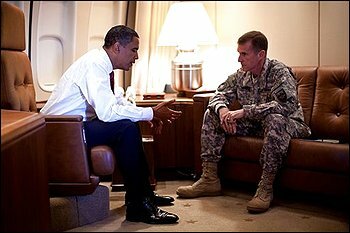 I guess General McChrystal will now learn what rank of Commander and Chief really means. Also we will be reminded of military protocol. He will also learn that once the cow is out of the barn you can't get him back. I would imagine that McChrystal has a pretty good pension in store. If we wants to go into politics the right would love his loose lips. Loose lips do indeed sink ships! Read the statement of his resignation as was predicted. 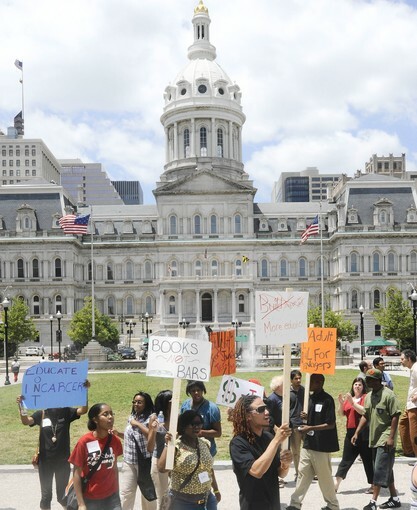 The Baltimore City College was the only high school in Baltimore City that was ranked by Newsweek in a recent poll of the nation's top high schools. There are many graduates of this prestigious high school who would affirm the quality of education they have received from City. It is comforting to know that those high standards are still being maintained. 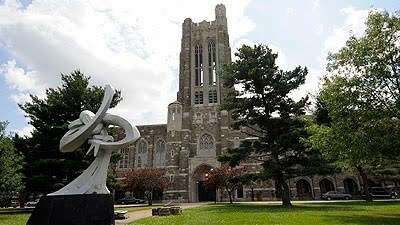 I was very fortunate to attend and graduate from City, the Castle on the Hill. I'm somewhat surprised that Western and Poly were not on this national listing. They are also quality high schools and the graduates of both of these schools are making tremendous accomplishments in their academic and professional careers. Since everyone cannot be number one, this gives Western and Poly something to strive for. Everyone needs a goal and being like Baltimore City College is a good goal indeed! I recently saw some quickly installed ferry wheels and amusement rides in areas in and around the city. I've often wondered about these gypsy type activities. There are here one day and gone the next. Who regulates them? Are there safety checks? Do they carry casualty insurance? What is the amount of protection against injury? Do they have local resident agents? It appears to me that the target market are those they are able to exploit. It appears that they have an income demographic in mind where they local these rides. We should provide our youth with legitimate experiences in the permanent amusement parks that surround our area. For example we are sending Union Baptist youth to Hersey Park which they will enjoy. I have just recently learned that Rev. Willie Ray is recovering from a stroke. Rev. Ray is one who in spite of his own pain and issues seeks to be a voice for those who are without voice or advocate. Receiving this training through the Model Cities program he firmly believes that by mobilizing people issues that impact citizens and communities can be addressed. 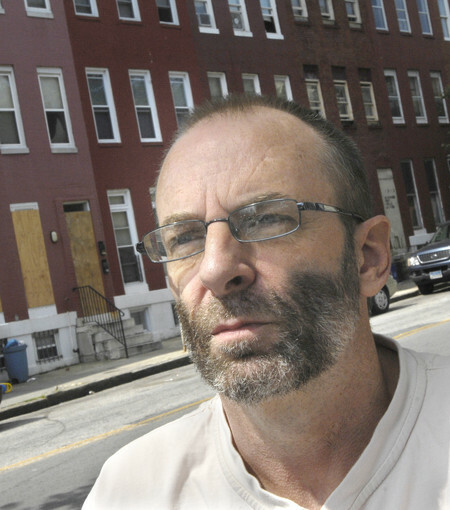 Without fear of criticism or critique he has walked the street of Baltimore emphatically proclaiming, "Stop the Killing." Periodically he would obtain press coverage for candlelight vigils he would hold with grieving relatives who have lost a member to senseless violence. You can always find him in gatherings of clergy insisting that they should open the doors of their churches during the week and weekends as safe havens. Over the years some have discounting his efforts and others have critiqued his personal lifestyle. I would say, "he that is without sin, cast the first stone." I pray for his recovery and say to Brother Ray that now is the time to rest secure in the arms of God. What an interesting sight to see Manute Bol and Muggsy Bogues on the same NBA team. The tallest man coupled with the shortest man. In both cases they had the hearts of lions. 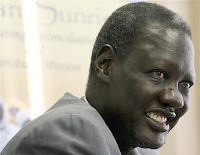 It is sad to learn that Manute Bol has made his transition to the never ending game in heaven. He focused the world's attention on conditions in the Sudan. He worked tirelessly to alleviate those conditions. His goal in life was to build 41 schools in his native community. The organization he founded has vowed to fulfill his vision and mission. Mr. Charles A. Hathaway is my father. I'm so proud of him. I'm so thankful for him. I am blessed to still benefit from his wise counsel. He served as a day care provider to my children and my sister's children. He doesn't run as fast or jump as high as he use to, but his sense of integrity and love for God has no bounds. Each Sunday he can be found at Pennsylvania Avenue AME Zion church for 8:00 a.m. service and then at Union Baptist Church for 11:00 a.m. service. He is loved and respected by both congregations. What a joy it is to have him so integral to my life. I enjoy talking with him, visiting him, and learning from him. My father is a jewel and now is the patriarch of the Hathaway Clan. Each and every day I say to him, Happy Father's Day; not only have you nurtured me in life, you have matured me for life. Internationally known photographer J. D. Howard is to be complemented for his recent trip to Haiti to provide an update on the recovery efforts going on. His outstanding photographs reveal that very little redevelopment has occurred since the earthquake shook that tiny island community. With much of the world's attention directed to the BP oil spill in the Gulf, the plight of the people of Haiti has been moved to the back burner of media attention. Not so with Mr. Howard who uniquely understood that it is our responsibility to keep the spotlight on people in need and our commitment to their recovery. 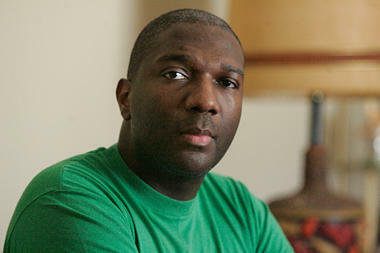 The world owes Mr. Howard a debt of gratitude for pushing the plight of our Haitian relatives back into the front page of the Afro-American Newspaper. Thank you for your service to our community. 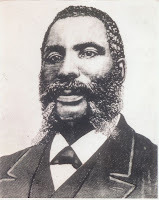 This is a picture of The Reverend Dr. Harvey Johnson, a leading African American Pastor at the turn of the 20th Century. His endeavors preceded the Civil Rights movement and gave it impetus. Too many of Baltimore's leading citizens who had the honor of a school building named for them are being lost because of school closings and restructuring. Such is the case with the closing of the Diggs-Johnson Middle School. Once there was a Harvey Johnson Middle School which was closed but a potion of Dr. Johnson's name was retained by merging it with what is now known as Diggs-Johnson Middle School. As if that does not add insult to injury, we are now faced with the name of Johnson being totally eliminate from a Baltimore City Public School Building. This is a shame and should evoke an outcry from the community. But alas, our community doesn't know it history;as a result those historical figures who contributed to improving the quality of life for all citizens and who previous generations honored them by naming buildings for them, are now being lost because we have lost the will to fight for our historical legacy. Maybe the day to day fight for survival is overwhelming us. Maybe we just don't know the bridges that brought us over. Can one be faulted for not knowing? That is why education is more than being trained to take a test. Education is understanding who you are and whose you are and then being affirmed that your God given gifts and talents can be molded into a productive citizen in our society. That's what we are losing. We are losing generation of people who are living and walking through a community and they don't know where they are. Living in a land of giants and thinking that they are grass hoppers. So tragic and so true! Well, some of us will never forget the contributions of The Rev. Dr. Harvey Johnson who championed the investment in public schools for Negroes. His efforts led to the building of one of the first public high schools for Negroes built in America, Douglass High School in West Baltimore. His efforts shaped the legal strategy used by the NAACP and Thurgood Marshall and all the succeeding lawyers who press the courts for redress in the liberation struggle. Rev. Dr. Harvey Johnson was indeed a giant! And our testimony to his legacy is that we are permitted his name to be lost from a public school building for the sake of supporting a charter school. What a shame? Our political, community and even religious leadership of today is asleep at the wheel. "According to the London Newspaper The Independent, between 1792 and 1800, 400 slaves were rented out from local plantations to build the White House and the Capitol. Each slave generated $5 a month, which was paid to the plantation owners of the leased slaves. Construction on the building lasted from 1793 until about 1826." 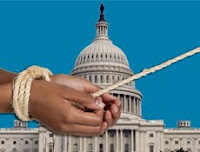 Later today, The U.S. Congress will recognize the role of slaves in the building of the Capital Building. The true story of forced labor in the building of America needs to be told. This is a good beginning. Most of the historically significant buildings in Washington, D.C. was built by slave labor. From slave labor to the Oval office is a journey fashioned by the hand of God. This is the image we must retrieve within our local communities. Youth with eager anticipation for their future. I commend those who march, protest, and argue for improving our neighborhoods. 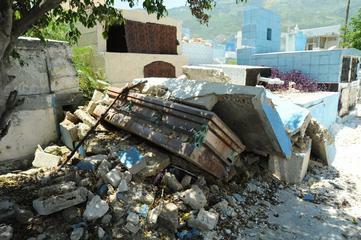 Unfortunately we cannot wait for structural changes to take place. We must act within our own capacity to reclaim our youth. There are enough people of good will to adequately identify and claim at least one youth, other than your own, you will support. Support means to become instrumental in their lives by encouraging and exposing them to new opportunities. 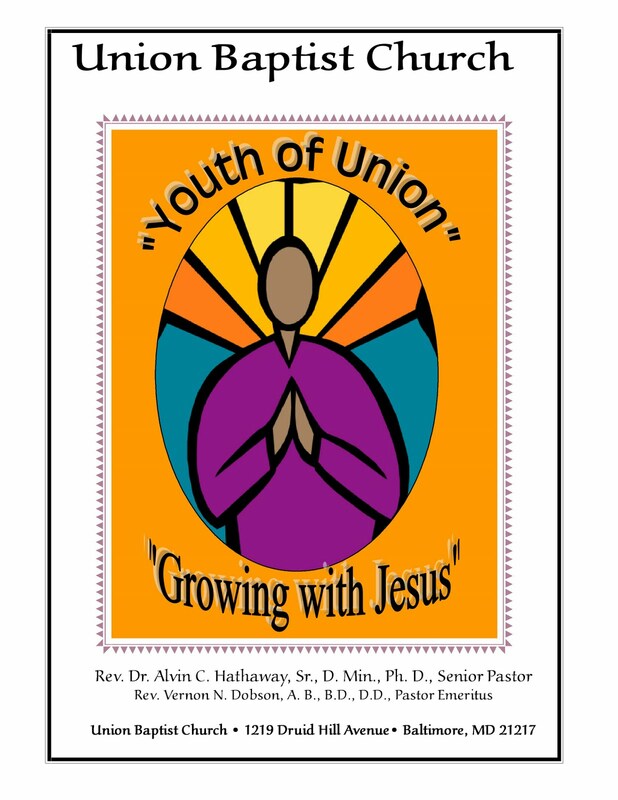 This is Youth Month at Union Baptist Church. A time for us to rededicate ourselves to the mission of youth development in every way. The Hampton Minister's Conference was a great experience this year. Returning to Sunday Morning Worship, June 13, 2010. It's Youth Day at Union Baptist Church. 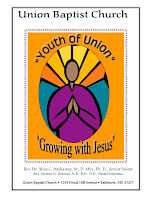 There theme is, "Youth of Union: Growing with Jesus." You will witness our youth expressing their love and adoration for God through His Son, Jesus Christ. This is what the "Beloved Community" is all about. John Wooden set the bar for what it means to be a college basketball coach. During the turbulent years of the 1960's and 1970's he established a winning record of NCAA Basketball championships with integrated teams that will never be eclipsed. Seven consecutive national championships in a row! Ten overall championships during his tenure. He was a winner! His athletes went on to individually establish themselves as iconic figures in sports and life. Now John Wooden has made his transition across life's golden stream. He lived for 99 years. His longevity permitted his legendary status to be a beacon of hope for college sports. Look in the stands there is John Wooden; if he can shape the lives of men, you can do it too! 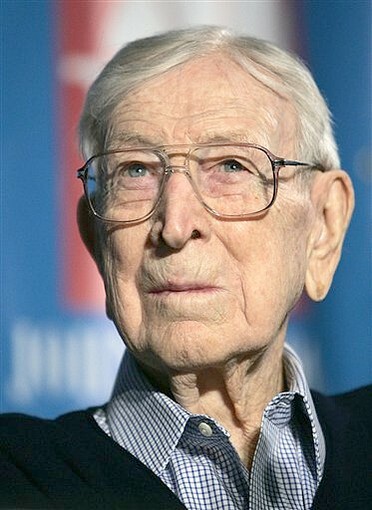 Now we will have to look up in heaven and see John Wooden, a servant who was faithful over a few things. The oil spill in the Gulf caused by the explosion of the pipe line and the exploitation by BP of earth's natural resources has thrown our ecological system into a tailspin from which it will be very difficult for man to ever recovery. The early signs are the wildlife soaked with oil unable to fly or feed. Vegetation soaked with oil slowly dying from lack of air or sun. Fish and sea life choking from the crude oil that is sapping their energy. Life in the Gulf will forever by changed. BP can never repay the damage that has been caused to our planet and to our way of life. This event is of apocalyptic proportions. Doesn't man remember the scripture that says, "the earth is the Lord's and all they that dwell therein." Just like the kingdoms of the world that have come and gone; just like the dinosaurs and other life that use to roam or planet and is now extinct; man cannot continue to destroy our planet and expect the reward to be our continued enjoyment of its resources. I pray we have not reached the point when God says, "I'll start over with new life." I am sadden to learn of the passing of Mr. Allan Tibbels. 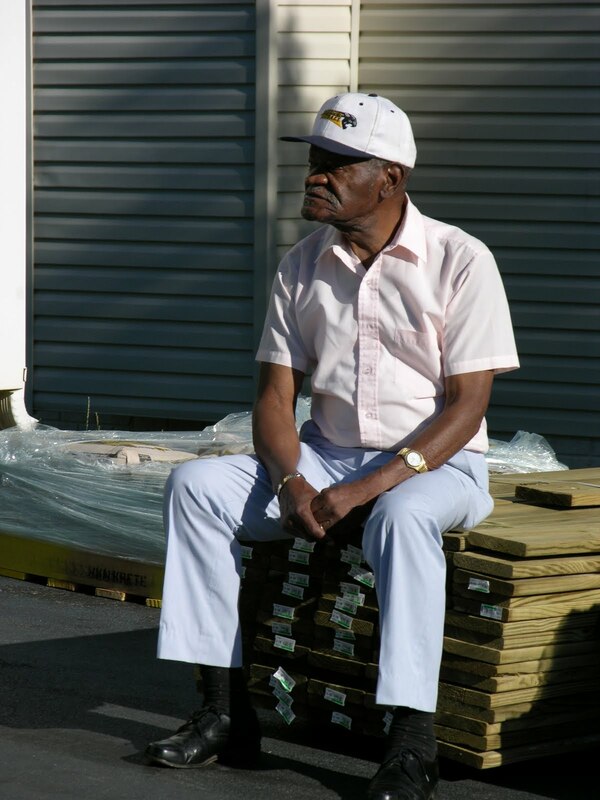 Allan ventured into Sandtown Winchester over 20 years ago with a vision to life the spirits and improve the quality of life of its residents. He believed in the children and families of that community long before it was popular. His motorized wheel chair could be seen travelling through the side streets, alleys and main streets promoting a lift yourself up spirit that was infectious. I am happy that our paths crossed and I had the opportunity to work with him. My work with The Singing Sensations reminds me of his work with The Voices of Sandtown, a children's choir with a powerful message and sound. His zest for living and the belief that everyone can overcome life challenges is something I will always remember. Allan Tibbels was an outstanding human being! Of the many affiliations I have, professional and personal, I'm most proud of being the President and CEO of the Union Baptist Church - School, Inc. This entity is the delegate agent for The Union Baptist - Harvey Johnson Head Start Program, a nationally recognized educational program for children and families. Children 3 - 5 years old receive daily instruction, nutrition, and recreation; all designed to insure that each child reaches their academic, intellectual and social potential. 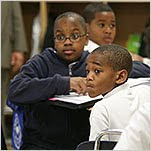 Union Baptist Church - School has been involved in the management of a Head Start Program for over 42 years. Begun by my predecessor, Rev. Vernon Dobson, Mrs. Dorothy Mapp, and Ms. Lavern Stewart; we are building on the legacy of excellence and promoting the concept of a West Baltimore Children's Zone. Some mornings it good to wake up to good news because even in the midst of a cloudy day; there is sunshine somewhere in the world. I'm a fan and a friend of Dean Kurt L. Schmoke. His amazing career and resume demonstrates that an African American male who is focused is able to overcome tremendous odds and make significant achievements within their lifetime. In today's morning Sunpapers there is a wonderful article describing some of his many activities during his tenure as Dean of Howard University's School of Law. His decision to nurture a generation of new leaders will have a lasting impact on our society for generations to come. 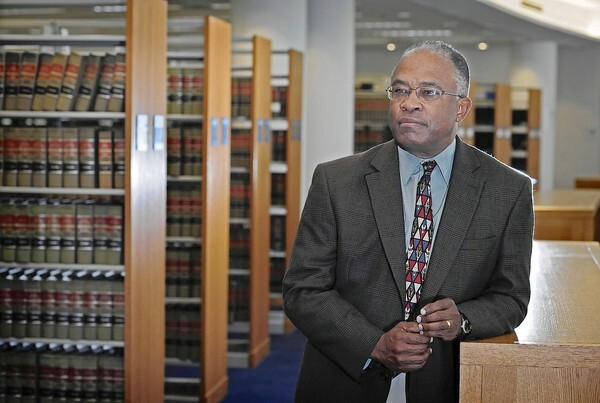 Congratulations Dean Schmoke for blazing a path of truth and justice.